It’s that time of year again when the Famous Fives load up the car with hockey sticks and sandwiches and a picnic blanket. And head off for an adventure to exciting places like, er, Huddersfield, accompanied by Sniffer, the Welsh border cross. There was much fun to be had along the way, with 80,000 rugby league fans also heading west on the M62 at exactly the same time. Oh how we laughed, at three miles an hour. And naughty Tom Poll had drunk all the ginger beer the night before, so he looked a bit squiffy. Once the action started it was a joy to watch the young whippersnappers making shapes all over the pitch, passing the ball beautifully and drawing admiring comments from the opposition fans. Joe Greer pulling the strings in the centre of the pitch, and some very strong performances from newish guy Tom H. who played every position in the midfield diamond, and Max who ran tirelessly. Congratulations to Tom Alldred who had a fantastic senior team debut, was a goal threat throughout, and made lots of runs for his teammates. But on this occasion it was a familiar double act who got the goals. First, Matty Snow, with a clinical finish for his second in two games – by the end of the season some defenders in our league will be having nightmares about marking Matty. And another goal for Finlay Holden, this time a classy flick into the net, with the ball bobbling around and no one getting a decent stick on it. So far so good, but this wouldn’t be a proper adventure without a bit of mystery, which was provided by the sinister pink lady, who gave about 27 short corners against the Adel defence, some of which were right. The pressure told and in the second half a much-improved Huddersfield side worked some nice passes to score a deserved goal. The game was set up for an exciting, end-to-end finish but Adel couldn’t clear their lines and relied heavily on Mikey in goal to keep out the barrage of shots with his feet, legs, hands (and some of David Maj’s spare body parts). The back line, including a sub, had a combined age of 403, but despite this wealth of experience, they seemed determined to give the ball to a purple shirt. Eventually Huddersfield got one of their short corners right and made it 2-2 with about a minute left on the clock. Game over you would think, but there was still time for the pink lady to pull one more scary surprise with an after-the-final-whistle short corner, from which two defenders were simultaneously sent to the halfway line for “breaking early”. You couldn’t make this stuff up, that’s what really happened. Thankfully the wicked Dragons fluffed it, and the game ended in a draw which was probably a fair result on the balance of play. MoM is impossible to choose: probably a three way tie between Matty for his relentless workrate, Joe who constantly built the attacks, and Finlay who defended from the front, tackling outside his own D and marauding up the wing. By comparison DoD is easy, it’s the entire Adel back line including wise old heads like Holden, Skully, Maj and Akroyd T., who really should know better. 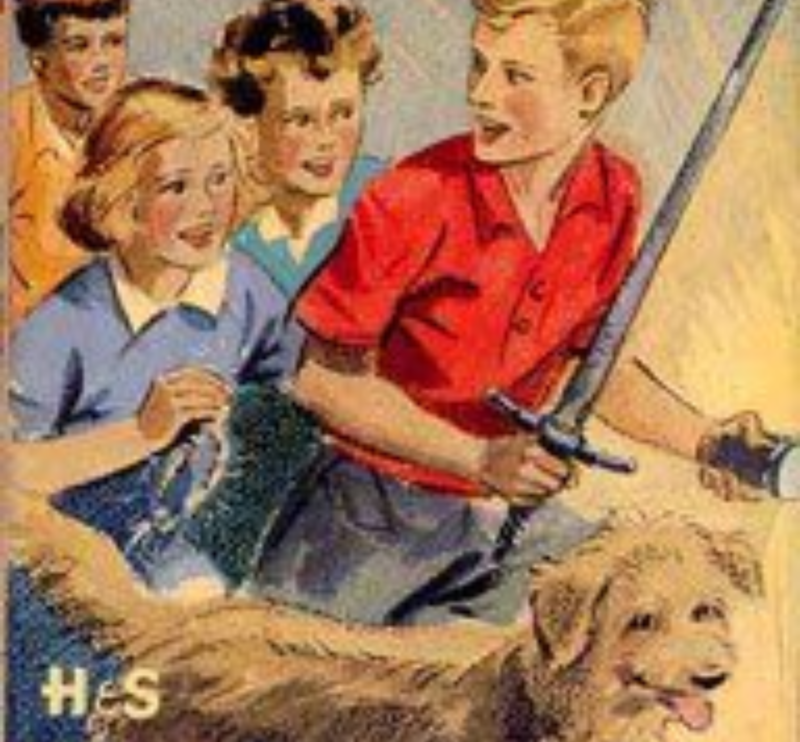 They will all be on detention with no milk or biscuits, at least until next week’s adventure. First nomination for match report of the year, I have met the mysterious Lady in Pink before! !